We save the lives of dogs where they have been at serious risk of being put to sleep in pounds, and we take private home animals when their owners are no longer able to care for them. We ensure all animals are fully assessed and rehabilitated to a high standard before they can be adopted, this means the underweight animals have gained weight, the untrained have been trained, and the terrified have become confident. This is done before we will allow them to leave our care as we have the experience to help them overcome their issues. The first step in the rehoming process is for you to get in touch with us and tell us about yourselves and the animal your interested in. The easiest way to do this is to head over to the the page showing who we have available and click on their profile. The application form can be found at the bottom of the page. 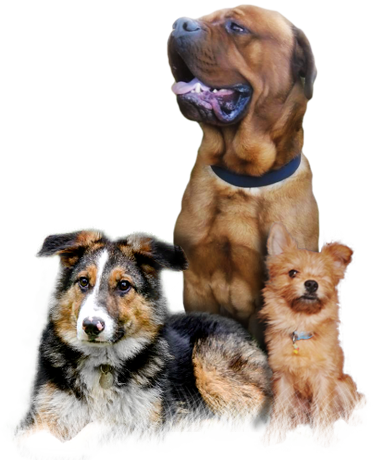 Once your application has been checked by our team we will contact you to arrange a homecheck. We strongly believe that this step is very important. It gives us a chance to check out where the animal will make its home and have a chat with their potential new family in person. In some instances we may recommend one of our other animals might be a better fit for your family, home or lifestyle. However, we will never push anything on you and simply want the best match for you and the animal. The next step is for you to meet your potential new family member; this may even happen a number of times before finalising the adoption/foster. Whilst we do our best to make sure all information about the animal is as accurate as possible and a cute picture can be very tempting sometimes meeting face to face can bring up additional questions and its better to sort these out at this stage rather than later. We strongly recommend that all family members and other pets attend at least one meet and greet session. If all goes well, we can take a deposit towards the final adoption donation until the process can be completed. Probably the best stage in the process and the one you’ve been waiting for – bringing your new family member home. Once all the paper work is complete and the final adoption donation is paid you can smile, give your new pet a hug and take them home. If you have any other questions regards this process please have a look at our F.A.Q page or get in touch with one of our team memebers.